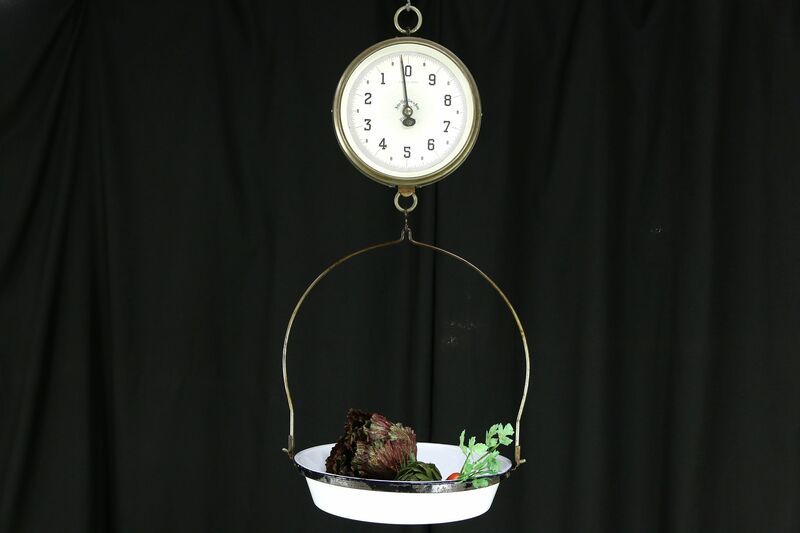 Signed "John Chatillon & Sons, NY," this hanging scale has a Weights and Measures Inspection Label from 1914. Rated for 30 lbs, there is a pierced porcelain enamel pan with iron bail holder. Used for produce and the like, this antique scale appears to be in working condition, but perhaps not legal for trade anymore. The worn case is nickel over brass. Size is 15" diameter and 40" tall overall.